On more than one occasion, in the middle of one of my rants and ramblings here, I have made reference to the North American model of fish & wildlife conservation. Usually I reference some important part of that “model”. Well, here is the perfect chance to do a little reading to better understand what I am talking about and why it is important to every hunter, angler and trapper in our country. My buddy Jeff Rawlinson has recently had a story published in the Prairie Fire newspaper ( http://www.prairiefirenewspaper.com/ ) on the North American Model of Conservation. Jeff’s story is two parts, and the first part was just published. Anyway, I would highly recommend you read through the story and then read the second part when it is published. You can go to Jeff’s blog and find a link to the story, http://lockstockandbedlam.wordpress.com/2010/08/01/north-americas-model-of-conservation/ or just follow this link, http://www.prairiefirenewspaper.com/2010/07/the-north-american-model-of-conservation . Consider this to be your “homework” assignment until I get back in the office next week. Ha. 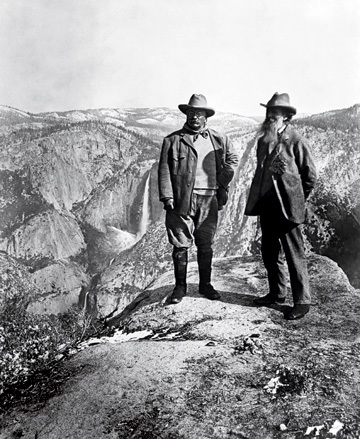 Two of our conservation "founding fathers", Teddy Roosevelt and John Muir. 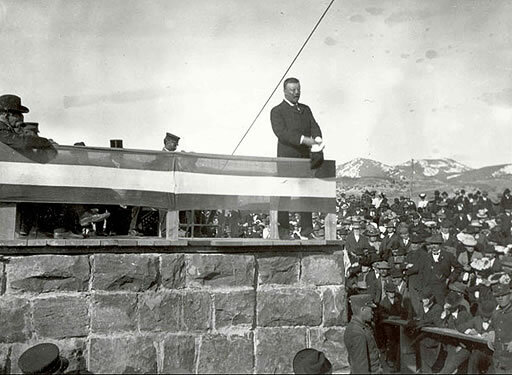 Teddy "speechifying" from the arch which was at the time being built at the north entrance to Yellowstone National Park. 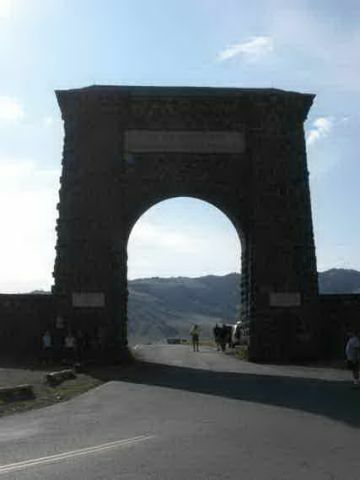 The Roosevelt Arch at the north entrance to Yellowstone NP as it appears today. My family and I walked on this "holy ground" when we visited Yellowstone last summer. Excellent post!!!! Our number one resource is water!!!! Several years ago we were in a position to sell it to Colorado.The eastern part of this state has not been well informed of this situation at hand. I for one, know that the drought we delt with for five years made this very evident that, we shouldn’t take our water for granted. It troubled me that we almost had to pump our ground water to a neighboring state. It’s not the fact that I didn’t want this, it’s the fact that, it’s not just Nebraska this effects. IT’S DOWNSTREAM…. I for one don’t believe that oil evaporates,dissolvesin water, etc.. give me a break. When we think they’ll install this piping correct , oh that right!, The inspectors didn’t do their job, give me a break…. Is it more important to create jobs, or is it more important to do it right??? Good comment Ray! Water is so precious to Nebraska and all of us who hunt/fish need to be very vigilant of the many actions that impact this precious resource. We all hope to live on this big marble for a long time!